Q: Who may join MSJDN? A: All are welcome to join! Our members include active duty, Reserve, Guard, retired, and veteran spouses and significant others, including law students and legal professionals. We also welcome NOAA, USPHS, and Foreign Service spouses and those facing similar challenges to military spouses. Annual membership options include law student, un/under-employed, private sector, government/non-profit, and community supporters. Q: How can I join the private Facebook group? If you’ve requested to join the Facebook group, once your membership is current, please email membership@msjdn.org so they can confirm your membership and add you to the Facebook page. Please also inform the membership team if you are using a Facebook alias so they can match your Facebook account to your MSJDN membership account. Q: I think I paid my membership dues but my membership is not showing as current on my account. A: We originally asked members to pay dues using automated PayPal subscriptions. Unfortunately, the payment processor on our new site cannot process those payments. You can still pay with PayPal or a credit card, but you must register and pay through the website and cancel your old automated dues subscription. We appreciate your patience as we adopt a better system for our members and our volunteers! If you were already charged under an old automated PayPal subscription and your membership is not showing as current, please email finance@msjdn.org and provide either your receipt showing payment of dues and/or the name and email associated with your PayPal account so that the Finance team can link the payment to your membership account. Q: How do I turn off recurring PayPal payments? Click Profile (the gear icon). Navigate to “Preapproved Payments” under the “Payment” tab. Choose “Military Spouse JD Network” within the payment list. Click on “Cancel” and confirm. Q: I don’t have a Facebook account and don’t want to join Facebook. Is MSJDN still worthwhile for me? A: Yes! While MSJDN started by connecting military spouse attorneys through Facebook and remains active on that platform, the organization has grown in to a bar association with many benefits for members including a newsletter, webinars, frequent gatherings, and discounts. For those on the job hunt, we have a jobs board and Homefront to Hired. Plus your dues support programs like Justice for Military Families and the state licensing initiative! MSJDN also offers meaningful volunteer opportunities from advocacy to pro bono to communications to help you fill those gaps on your resume and give back to the community. Q: How do I know if there are other MSJDN members in my area? Do MSJDN members ever get together in person? A: MSJDN members are all over the country and globe, so chances are there are fellow members nearby. 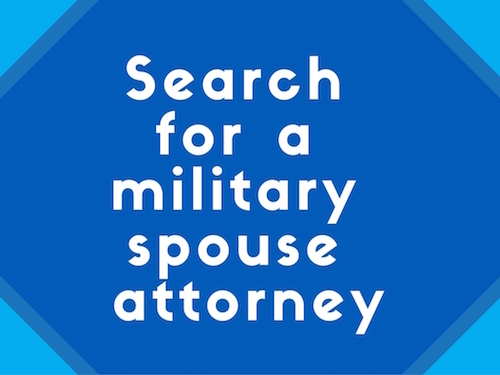 Once you are a member, you can search for other military spouse attorneys in the private member directory by location, practice area, etc. Members who are local to each other get together frequently. Gatherings range from happy hours to family friendly outings to professional development opportunities, and are shared on the website calendar, in member emails, and on social media. MSJDN also hosts a number of events each year, including the Annual Reception and Making the Right Moves. Q: Are there any MSJDN members stationed OCONUS (outside the continental United States)? A: Yes! MSJDN has members living in a number of countries around the world including Japan, Germany, and Italy. Q: Does MSJDN ever host online events? A: Yes, monthly webinars are hosted addressing a variety of topics of interest to military spouses in the legal profession. Webinars are recorded and placed in the library accessible to members. MSJDN Board meetings are also broadcast and members are welcome to join. Board meetings are documented through the meeting minutes available in the library.